About the Book:Old people were dying at an alarming rate at La Vida Boca, a posh assisted living facility in Boca Raton, Florida. With its sterling reputation, dedicated staff, and top-notch medical care, none of the deaths are considered suspicious, but when members of the poker club start to die under strange circumstances, attorney Jamie Quinn finds herself once again embroiled in a mystery. With help from her new friend, Jessie Sandler, and her favorite P.I., Duke Broussard, Jamie uncovers a crime that took place forty years earlier. Can she stop the killer in time? Or is she in danger of becoming the next victim? About the Author: Award-winning author Barbara Venkataraman is an attorney and mediator specializing in family law and debt collection. She is the author of the Jamie Quinn Mystery series, as well as "Teatime with Mrs. Grammar Person"; "The Fight for Magicallus," a children's fantasy; a short story titled, "If You'd Just Listened to Me in the First Place"; and three books of humorous essays: "I'm Not Talking about You, Of Course", "A Trip to the Hardware Store & Other Calamities," and "A Smidge of Crazy", which comprise her "Quirky Essays for Quirky People" series. 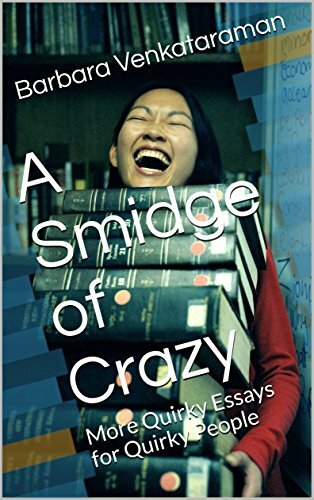 Two of her books of humorous essays won the "Indie Book of the Day" award. "Engaged in Danger" was chosen as Book of the Day by www.bookoftheday.org and won first place in the Amateur Detective category of the Chanticleer Murder & Mayhem Mystery Writing Competition. 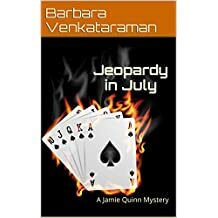 Her popular Jamie Quinn Cozy Mystery Series includes: "Death by Didgeridoo," "The Case of the Killer Divorce," "Peril in the Park," "Engaged in Danger" and, just released--"Jeopardy in July", the fifth Jamie Quinn mystery! 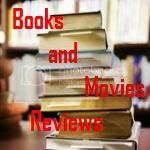 My Review: When you think that life cannot get better, Mrs. Barbara Venkataraman releases another novel from her Jamie Quinn series "et voilà"! Trick is done! Once again the author shows all her talent creating characters that are so real that you will be cheering for our heroine from the first page. This is the fifth book in this series and although each book can live independently, I am sure you will savor better the story if you read the books in the order they were written. In this particular book, Jamie Quinn volunteers to work at an assisted living facility, where she finds some interesting characters. Some old people start dying and she starts getting worried that those deaths are not completely natural and they might be related with a crime that happened forty years earlier. I highly recommend this book to the permanent library of any reader that appreciate a very good well written story, with some twists and an intelligent plot. You will not be disappointed, as the author is a natural storyteller and this is another of her masterpieces. Excellent way to spend a cold weekend entertained! About the Book: FBI Evidence Response Team intern Chloe Fine, 27, finds herself forced to confront her own dark past when her troubled twin sister needs her help—and when a body turns up dead in her small, suburban town. 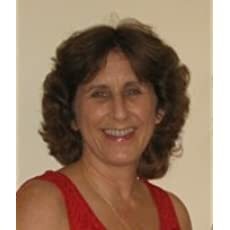 About the Author: Blake Pierce is author of the bestselling RILEY PAGE mystery series, which includes thirteen books (and counting). Blake Pierce is also the author of the MACKENZIE WHITE mystery series, comprising nine books (and counting); of the AVERY BLACK mystery series, comprising six books; of the KERI LOCKE mystery series, comprising five books; of the MAKING OF RILEY PAIGE mystery series, comprising two books (and counting); of the KATE WISE mystery series, comprising two books (and counting); of the CHLOE FINE psychological suspense mystery, comprising two books (and counting); and of the JESSE HUNT psychological suspense thriller series, comprising two books (and counting). ONCE GONE (a Riley Paige Mystery--Book #1), BEFORE HE KILLS (A Mackenzie White Mystery--Book 1), CAUSE TO KILL (An Avery Black Mystery--Book 1), A TRACE OF DEATH (A Keri Locke Mystery--Book 1), and WATCHING (The Making of Riley Paige--Book 1) are each available as a free download on Amazon! 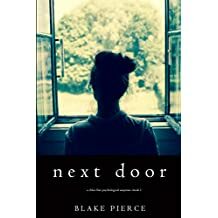 My Review: If you read other books from Blake Pierce, you will not be disappointed with this one. The story tell us about the relation of twin sisters that had their mother misteriously murdered when they were 10 and saw their father being arrested for the crime. They grew apart, Chloe choosing an FBI career and Danielle getting lost with her choices in life. Seventeen years later they reunited again when Chloe returns to her home town. But then life turns upside down when Danielle's boyfriend is found dead. The book is full of completely unexpected twists and you will read it at the edge of your chair. It is Blake Pierce at his best! Another masterpiece of suspense and mystery. I highly recommend it to the permanent library of all readers that appreciate an excellent thriller, full of psychological suspense and with a completely unexpected ending that you would never imagine. This is the first book of what promises to be another excellent series. I can hardly wait to read the sequel of this book. About the Book: Kent Steele, 38, a brilliant professor of European History at Columbia University, lives a quiet life in a New York suburb with his two teenage daughters. All that changes when late one night he gets a knock on his door and is abducted by three terrorists—and finds himself flown across the ocean to be interrogated in a basement in Paris. About the Author: Jack Mars is the USA Today bestselling author of the LUKE STONE thriller series, which include the suspense thrillers ANY MEANS NECESSARY (book #1), OATH OF OFFICE (book #2), SITUATION ROOM (book #3), OPPOSE ANY FOE (book #4), PRESIDENT ELECT (book #5), OUR SACRED HONOR (book #6), and HOUSE DIVIDED (book #7). He is also the author of the new FORGING OF LUKE STONE prequel series, which begins with PRIMARY TARGET. ANY MEANS NECESSARY (book #1), which has over 800 five star reviews, is available as a free download on Amazon! My Review: After reading the whole Luke Stone series, I became a huge fan of Jack Mars. His books are so dense, filled with action and the plot is so intelligent that you will not sleep until you are finish with the book. This is the start of a series that promises to be as good as the previous one. In this book, Professor Reid Lawson teaches at Columbia University, has two daughters (Maya and Sara) and lives a nice life, until his world turns upside down when he is abducted by three terrorists claiming that he is a CIA spy. The author did a superb job creating a set of characters that are fully developed and very much enjoyable. We cheer for our hero in every turn of the pages. The description of the action scenes transport us into a reality that is almost like sitting in a movie theater with surround sound and 3D presentation (It would make an incredible Hollywood movie...). Overall excellent plot, I can hardly wait to start reading the sequel of this book. I recommend this book to the permanent library of any reader that enjoy a well written thriller novel. They will not be disappointed. About the Book: A collection of humorous insights into important topics ranging from being targeted by annoying ads ("Nowhere to Hide"), to resorting to symbols when you've forgotten your words ("At a Loss for Words"), to figuring out what door that extra key opens ("My Extra Key"). Other essays examine how sitting is the new smoking (whatever that means), and why it is just so hard to focus when you have the attention span of a gnat. My Review: This author is a brilliant and natural story teller. Her style is so nice and clever that makes reading a pleasure, and will really bright your day. This collection of small chronicles or essays is a description of everyday's life situation that turns out to be very funny when you talk about them (probably not that funny when the situation really happened...). The only downside of this book is that it finishes too soon! We have only 15 short essays... But every new one is better than the previous one. Family Ties is a great one! I recommend it to the permanent library of any reader who loves a laugh and enjoys a very well written collection of short stories. These essays will give your spirit a lift and leave you smiling. I received this book from the author and I was not requested to provide a positive review. Opinions expressed here are my own. About the Book: DNA and social media postings will determine who will survive. An exciting science fiction techno-thriller from six-time award-winning author, James M. Corkill. 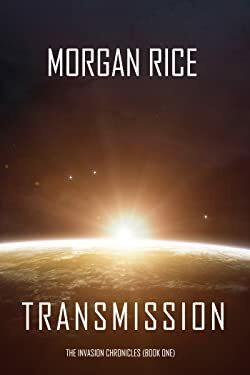 Alex Cave, an Ex-CIA operative now a geophysics consultant for NASA at Area 51, meets an archaeologist named Mya Austin, who tells him about a prophecy found in an ancient cave drawing belonging to the Sioux Nation. He is intrigued, but declines Mya’s offer to visit the dig site because of a pressing family issue. A rift had formed between him and his nineteen-year-old nephew Derek, and it was like a dagger through his heart. Geneticist Zane Simon’s amazing discovery will save the lives of a select number of people, but there is no hope for the other seven billion. The problem will be keeping it a secret or society will disintegrate into chaos. How does Alex save civilization from total collapse? About the Author: "Hello. I would like to take you on exiting adventures here on our planet, with courageous people in dangerous situations, desperately trying to save humanity. I'm a retired federal firefighter from Whidbey Island, Washington. Before that, I was an electronics technician and part time mechanical engineer at the Puget Sound Naval Shipyard. I was in the military, and served in Viet Nam. Being retired allows me to write full time and blend my knowledge with my imagination to create the adventures I would like to go on. When I was fourteen I moved to a small place called Orcas Island in Puget Sound; a community of around seven hundred people at that time. Fortunately for me, the famous horror writer, Hugh B. Cave, lived on one of the islands and became my mentor, though I don't write in that genre. The most important lesson he taught me was, only write what you know. Accurate details lend credibility and believability to the story. With that in mind, I do extensive research for my stories. Thanks for joining me on my adventures. It's not always easy finding good books to read. If you liked this one, please write a review on Amazon. Thanks! James M. Corkill. You can visit me at http://jamescorkill.com/. 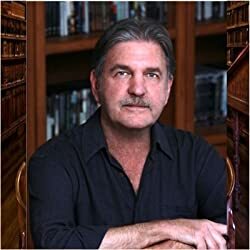 My Review: After reading "Dead Energy" I was hocked by James Corkill's writing style. 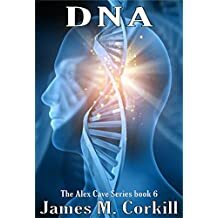 And he delivered again and again with "Cold Energy", "Red Energy", "Gravity", "Pandora's Box" and now with "DNA", the sixth book in the Alex Cave Series. "DNA" is a masterpiece. 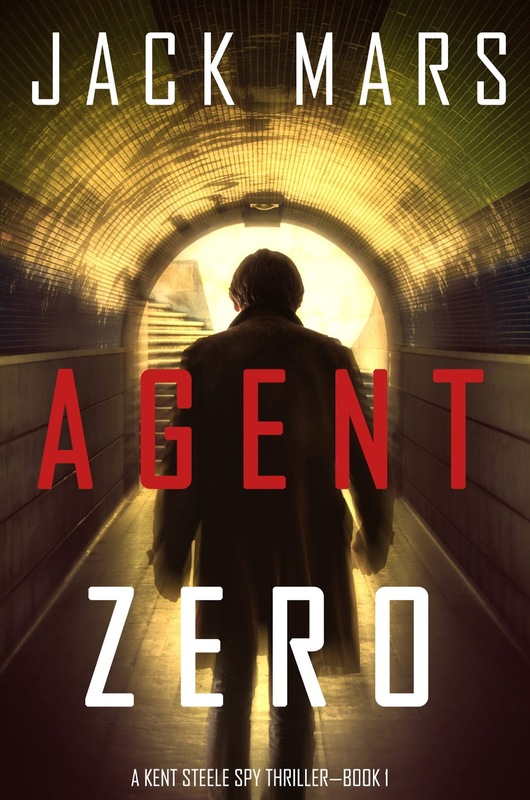 If you thought that the story of our hero, an ex-CIA agent named Alex Cave, could not get better, you were completely wrong. The author keeps raising the bar, as if it was possible at all. As usual, we can see that a lot of research was done by the author in order to create a very intelligent and believable plot. This time, an imminent catastrophic event is set to destroy life on earth. And Alex is just there, in the middle of all action, with his friend Okana and other new characters that run against time to unravel the mystery behind the appearance of a rock in the middle of an indian (Sioux Nation) reserved area. When plan to save humanity goes sour, it is up to Alex to find a plan B in order to prevent the disaster that would destroy more than seven billion lives. You definitely should try James Corkill's books. His intelligent plots are here to stay. There are lots of brilliant sequences in action, some dose of romance and all the good ingredients that make this book a must read for all fiction lovers that want to spend some hours entertained. Although they are completely independent books, I recommend that you read all of them in the order they were published, so you can know the characters better and savor each detail of all the books. I recommend this series to the permanent library of all science-fiction readers. They will not be disappointed. This book was written by James M.Corkill and I received an electronic version for reviewing. I was not requested to provide a positive review. Opinions expressed here are my own. 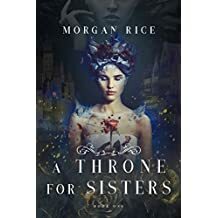 - "A Throne for Sisters" by Morgan Rice. Read my review. - "A Clash of Kings - Song of Ice and Fire, Book 2" by George R.R.Martin. Read my review.